As a specialist sporting infrastructure contractor operating since 1977, Court Craft has had decades to fine-tune its supply chain of specialist manufactures for surfaces, equipment and lights. Court Craft provide a supply and installation service only of its product range, which is backed by the manufactures warranty. If you would like further details about products suited to your requirements, please contact our office. 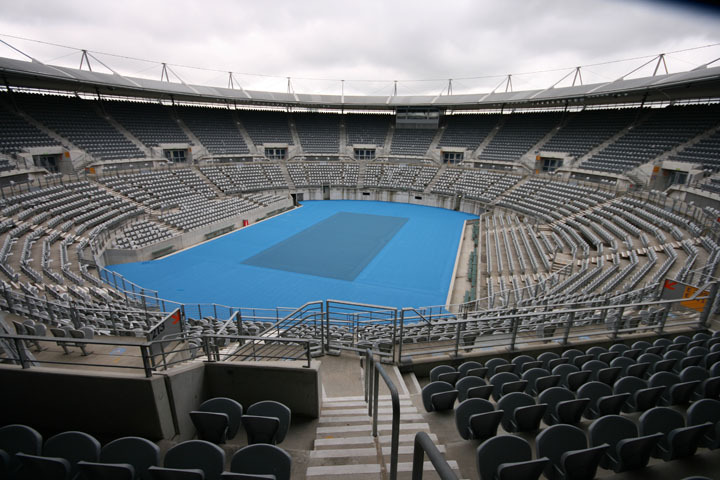 Court Craft has the exclusive supply for Plexipave, Plexicushion and HAR-TRU for the NSW market area. This System combines the consistent bounce, sure footing, and outstanding durability of Plexipave with the innovative shock-absorbing properties of EPDM Rubber cushioning. World wide indoors and out, the Plexipave sports surfacing system has proven itself the leader in acryclic court surfacing technology. Plexipave is the original acrylic surface and since it’s development in the 1950s has continued to be the biggest selling surface coating in the world.